As we head into a weekend filled with college and NFL football and get ready to ring in the New Year, here are several insights we discovered in 2018. Smart Speakers are taking away occasions from Smart Phones. Especially among those who are trying to cut back on screen time. Meanwhile Voice Command is shaping up to be a zero sum game. Unlike screen displays, the algorithm for voice only returns a single result. More here. Technology and AI aren’t going to kill off the workforce. “Once, the whole of humanity were farmers, now only 3% of the population work the good Earth.” AI will automate boring work and free people up for better jobs that haven’t been created yet. More here. Negative, repetitive thoughts are a fact of life. Most people have 50,000 negative thoughts per day. Radio provides an oasis from all that noise and negativity. More here. Winning the streaming battle is proving to be a hollow victory. 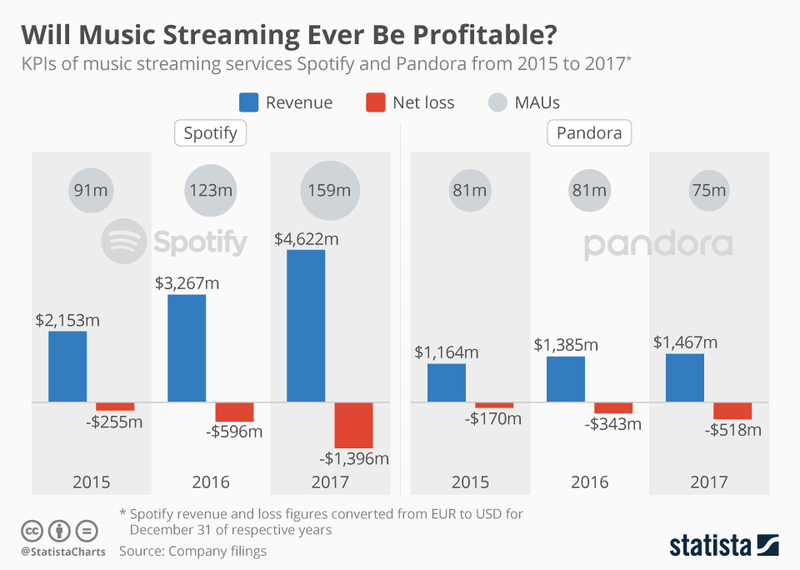 As revenues have grown for streaming audio platforms, so have the losses. More here. There’s a tremendous appetite for AM/FM Radio to tell its story with strength and confidence. Whether it’s Westwood One’s Everyone’s Listening blog, Bob McCurdy’s column or Radio Rally Point, there are powerful stories being told. Radio’s glass isn’t half empty or half full, it’s overflowing with 9 out of 10 minutes of audio going to AM/FM. More here. Look forward to another year of learning and discovery in 2019. This entry was posted on Friday, December 28th, 2018 at 12:27 pm and is filed under Nielsen ratings, radio, radio marketing, Uncategorized, Vanity Metrics. You can follow any responses to this entry through the RSS 2.0 feed. You can leave a response, or trackback from your own site.